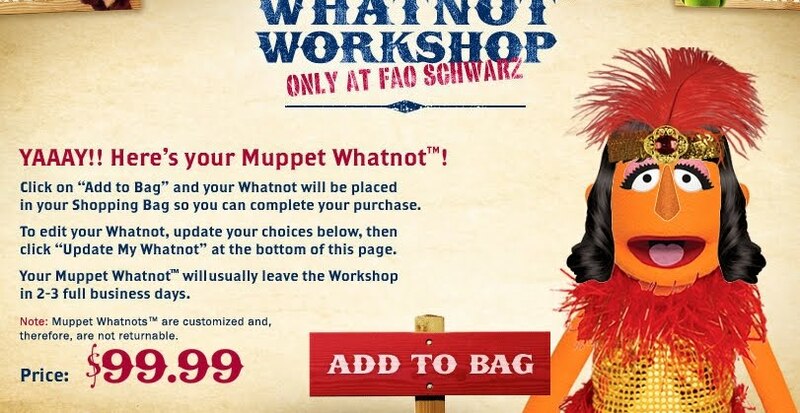 Dropped into FAO Schwarz today – y’know, only the best toy store ever. And guess what? 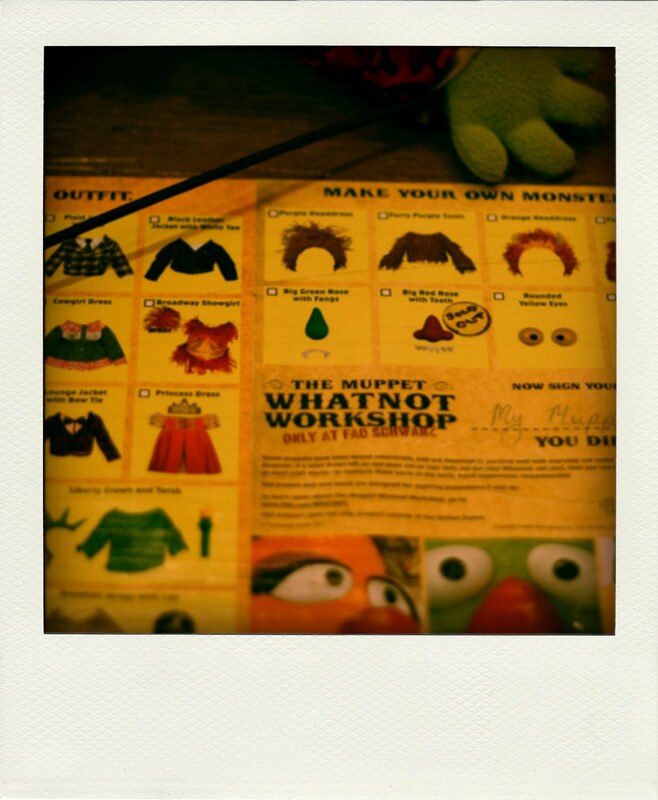 You can design your own muppet. It’s called the Muppet Whatnot Workshop – “whatnots” being the random muppet extras that people muppet-world. 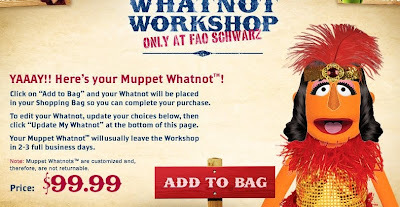 Best of all, because let’s face it, some of us are unemployed and can’t be dropping a Benjamin on a personalised puppet, you can mock up your muppet online endlessly. What happened was, Henson Company created the puppets for Sarah Marshall. And I was there, and I said, “Hey, while I’m here, can I maybe see a Kermit and a Miss Piggy?” And they got this kinda sad look, and they said, “Um, we don’t have Kermits or Piggys. 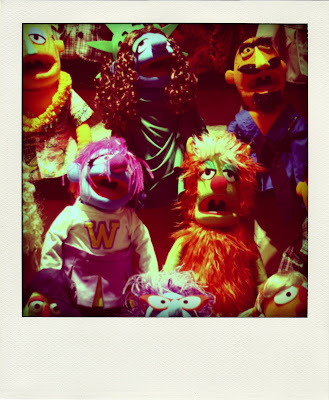 We sold everything to Disney.” [incredibly serious now] And it all sorta made sense, why the Muppets have disappeared. That’s something that really has to come from an individual person’s passion. There’s CGI now, and there’s all these things that are theoretically cooler, but you’ll never be able to replace the actual, tactile thing. Like when Kermit scrunches his face? You can’t repeat that with CGI. I think when you can sit and make it perfect to the degree you want, you lose some of the humanity of it. OK, one last Segel thing. Did you know he had a teeny role in the classic 90s teen movie Can’t Hardly Wait? Playing the kind of character coveted among thespians, “Watermelon Guy”. And all the above, ladies and gentlemen, presents a compelling case for why I need a job. Hark, employers!